Are you looking for an offbeat shopping experience in Singapore? Just explore Geylang Serai! The Malay community since amidst of 19th century has populated Geylang Serai, being positioned in the central area of Singapore. At present, anyone can stroll around the markets and shops where selling various stuff catering to the needs of the locals and tourists. Are you excited to visit Geylang Serai? It truly holds a lot charm besides colourful shopping choices! Always take a bus to Singapore, just book online bus tickets, this really helps first time tourists to overcome many hassles. Simply travel in comfort, exploring the roads to Singapore. During festival months, the district transforms itself into a vibrant fairyland that dazzles with lights and bustling stalls. While walking across the road, you will find the streets are covered with Joo Chiat area. A wealthy Chinese businessperson created this during early 1900s, on the other hand this became well known amongst the Chinese community who has constructed homes in the region, renowned for its impeccable architecture. 1. Geylang Serai Market- There are shops and stalls displaying a miscellany of items from handicrafts, rugs, rattan, fabrics Malay attire to spices, herbs, seasonal tropical fruits and more. 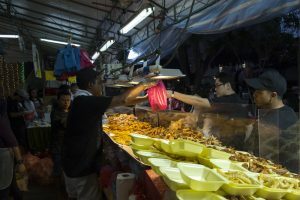 Geylang Serai is quite popular for being the Malay emporium of Singapore and Geylang Serai food is almost synonymous with good authentic Malay food. There may be no better place to satisfy your hunger with a variety of cost saving scrumptious Malay food and snacks rather than Pasar Geylang Serai or Geylang Serai Market. 2. Katong- Apart from absorbing the architectural legacy, tourists will be amazed by conception of eateries, shops and local businesses. Katong perfectly earns its name amongst the most bustling localities in Singapore. Immersed in history, the eastern region of Katong is reputed for its vibrant, picturesque shop houses, rich heritage and wide array of local cuisine. 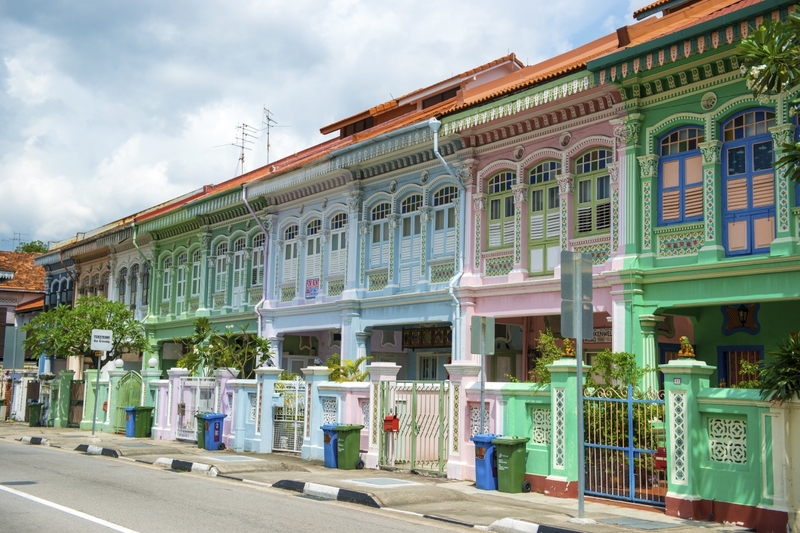 Take a stroll around to explore both old and modern Singapore and find out more about the Peranakan and Eurasian cultural activities. 3. Pay a visit to Malay Village- You will surely spot on traditional Malay items such as handicrafts, batiks, musical instruments prayer rugs, furniture and much more. Visitors probably prefer to visit this place just to sight its oldest Malay settlements. Geylang has been quite popular amongst tourists ranging from Malaysia, Brunei and Indonesia. Besides, this place is considered as the cultural center of Malays in Singapore. Even if you belong from another culture, Geylang Serai has something to offer you. 4. Joo Chiat Complex- This area comprises of a wide selection of home furnishings, jewelry, costumes, textiles, bridal services and much more. 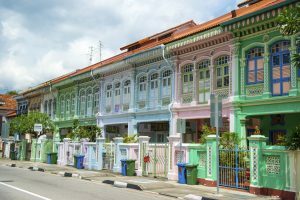 Joo Chiat was designated as the ‘heritage town’ that is a mix of Peranakan shop houses, long towering buildings, delicious local cuisine and many bakeries. Light-heart, eccentric, quixotic, compassionate and candid are the components that describe me. I feel strong affinity towards food and love traveling to hill stations, explore new things and myself, I am an optimistic soul. A walk down the past at Civic District: Where Art meets Heritage in Singapore! 5 Unique Places to Trek in Singapore: Thrill filled hiking adventure! A Friendly Travel Guide for Singapore Budget Trip: Drop all your worries!